Yeah, but it doesn’t go far enough, ma’am. 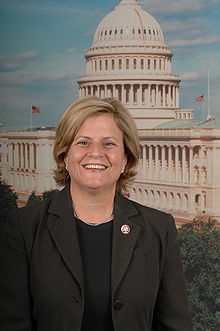 Florida’s Republican Congresswoman Ileana Ros-Lehtinen is determined to stop the Palestinian Authority from carrying out its statehood bid in the United Nations – or at least, from discouraging most of the international community from supporting it. The chairwoman of the House Foreign Affairs Committee announced Tuesday she has advanced a measure to block U.S. funding to any U.N. member or group that supports an upgrade to the PA’s diplomatic status in the international body next month. Any CongressCritter™ voting to…… approve, or proposing legislation to be voted on that will fund…… assist and/or support ‘Palestine’, it’s declaration as a sovereign nation…… refusing to acknowledge the underlying causality of it all (which by just sheer coincidence happens to be Islam itself)…… associating with any member of The Muslim Brotherhood…… or otherwise aiding these peace-loving true-believing genocidal maniacs in any manner will be listed as an accessory to terrorism and brought up on charges. WARNING — A shooting war is coming very soon — A big one. Israel will be attacked from all sides. If not simply turning their back on The Jewish People, the current US administration very well may order our military to stop Israel from defending herself. Oh, right…… “It can’t happen here”. WAKE THE HELL UP ! This entry was posted on Wednesday, August 31st, 2011 at 05:32 and is filed under Main Postings. You can follow any responses to this entry through the RSS 2.0 feed. You can leave a response, or trackback from your own site. Don’t worry, Obama and Hillary will do all they can to avoid a shooting war through Nov 6, 2012. If the Republicans win, the shooting will commence soon after, before the new adminstration comes to power. if Obama wins, then the war will start at at time of their choosing. Then again, Israel’s enemies may not care enough about who’s running the U.S. to base their war timing on the U.S. election cycle. In that case, all bets are off as to when. Hillary, Sunstein and The Nudge Brigade can only do so much for the A21 crowd. The wild card not considered by ICR2P: The peace lovers – which is where it looks like O-I-Won now comes into the picture. The genocidal maniacs are gonna move when they’re ready – they’ve had centuries to get where they are and they’re still building. My best w.a.g. is the elections in Egypt that will cement The Muslim Brotherhood in power for all eternity will send the Quranimals into such a frenzy that they’ll want Israeli blood immediately. Remember, this is all happening at once and for the most part, it’s the nations surrounding Israel. The one exception: Libya – at the entrance/exit to The Med. But naaaaaah, there’s nothing to see here at all. I documented my prediction about this in February. But I’ve been talking about this coming for years.